Mealybugs are small scale like pests that live on plants and feed on sap. They’ll readily become a problem on common houseplants and if left to grow as they desire, mealybugs can pose a threat to host plants leading to plant damage, stress, leaf loss and fungus. 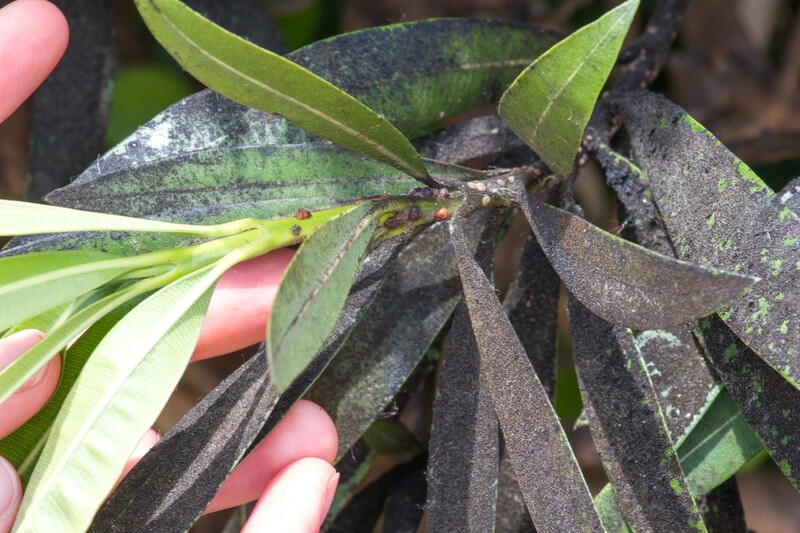 This article will cover simple mealybug facts and detail treatments that will cure the problem. 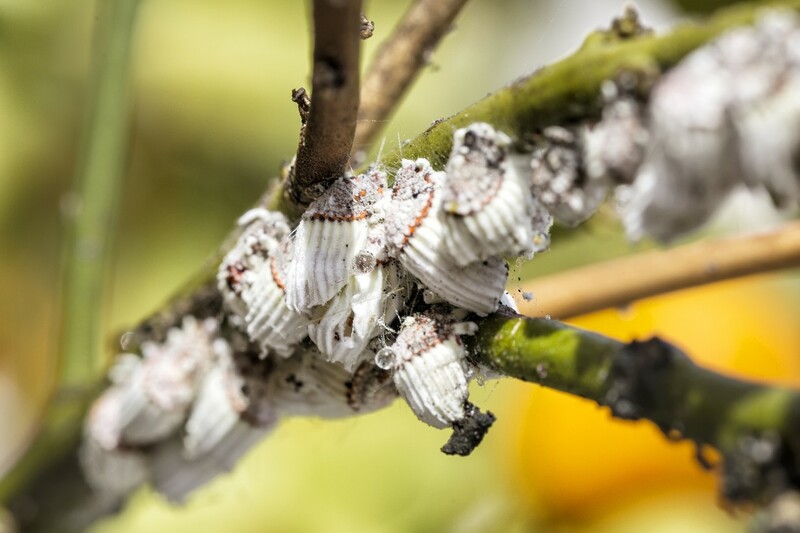 Mealybug bugs reproduce year round with females laying 50-100 egg clusters. Eggs hatch what are called “crawlers” and this larval stage will typically feed for 1-2 months. Once they get their full, larvae become adults which will seek a mate and start laying eggs. Male adult mealybugs can fly and will migrate in search of females. Eggs can survive the harshest of winter cold and with the arrival of spring, hatch young crawlers ready to start the next summer community. But in the home, they’ll be active all year long. Mealybugs readily seek out any healthy plant whether it’s planted in the yard or moved around as a potted plant. This means potted house plants kept outside during the summer will readily attract mealybugs. In the fall, these plants may be brought inside which unknowingly brings in mealybugs. This is the main cause of mealybug infestations in the home and once they get inside, most any potted plant can become a target. Another problem related to the mealybugs is the fungus they promote. This is especially true with plants moved inside. The heat in most any home during the winter will allow many fungi to prosper. Sooty black mold is one of the more common and it can thrive in the garden, on trees and in the home on potted plants. Once a mealybug infestation has been found, you’ll need to treat the plant with either traditional pesticides or something organic. If the infested plant will be producing edible fruit or vegetables, you may want to limit your treatment to an organic active. 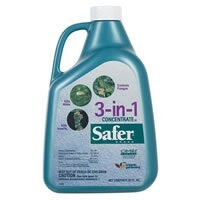 3 IN 1 is an organic concentrate that will both kill mealybugs but also control fungus. This can be helpful when the affected plant has both the pest and the fungus. In many cases, mealybugs will enable fungus to grow. The most common is sooty black mold but there are many fungi that will live alongside mealybugs. 3 In 1 will both kill the mealybugs and the fungus in a combined spray. Add 4 oz per gallon of water which is enough to treat 250-500 sq/ft. And 3 In 1 is safe enough to be used on garden vegetables, fruit bearing trees and houseplants. Retreat weekly until they’re gone. After they’re gone, twice a month during the growing season; once a month during the “off season” when mealybugs are mostly dormant. Add 6 oz per gallon of water and use this over 500 sq/ft. No doubt the best mealybug spray is ADONIS. This concentrate is both odorless and water based making it very safe for use on any non-edible house or yard plant. Adonis is slow working but this is by design. This allows the treatment to spread so when it kicks in 2-3 days after you spray, it will have spread throughout the colony. 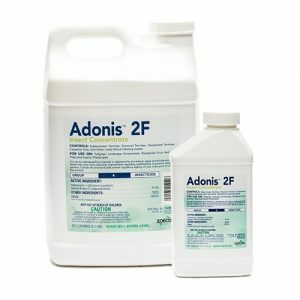 Adonis can be sprayed on trees, shrubs and plants as a foliage spray. 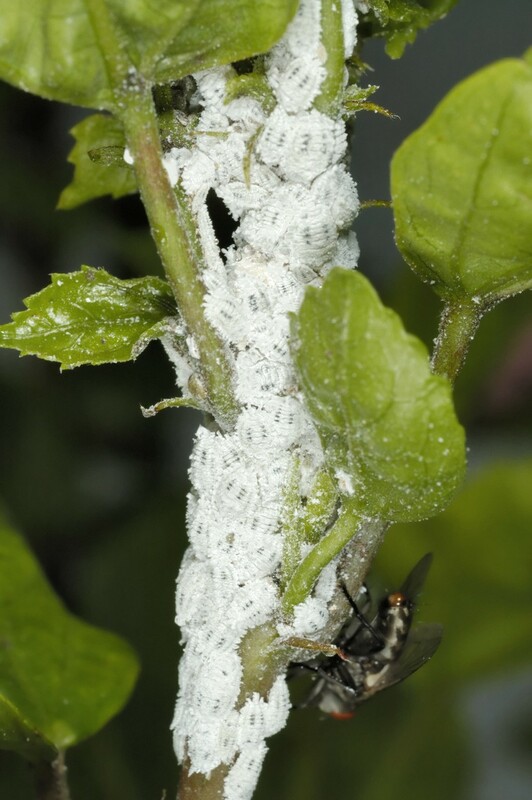 It will also control the ants that tend to target mealybugs for honeydew. 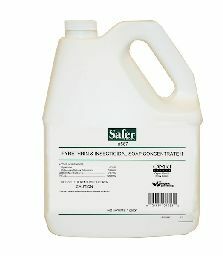 Add 1/2 oz per gallon of water and use this for 500-1000 sq/ft of plant foliage. Adonis can also be used as a soil drench. Using it this way will allow the active to be absorbed by the treated tree or plant. After a few weeks, the entire plant will be protected for a whole year. So if mealybugs return, they won’t be able to feed on the treated plant or else they’ll die. When using it as a systemic, use 1 oz for every 12″ if tree width. Add the 1 oz to 3-4 gallons of water and pour the mixed solution into holes you create inside the trees drip line. Treating in the winter or early spring will ensure the plant is protected for the whole season. When using it as a foliage spray, add SPREADER STICKER to the tank. Mealybugs like to hide. Using spreader sticker to the tank will ensure good coverage when spraying. Basically it will “spread” the treatment to the underside of foliage where mealybugs like to hide. Add 1 oz per gallon of water with the Adonis. 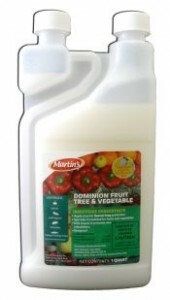 For season long systemic control in garden vegetables, fruits and nuts, use DOMINION FRUIT AND VEGETABLE CONCENTRATE. 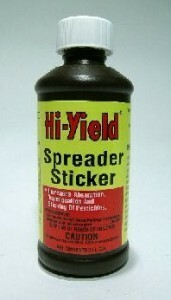 This product works like Adonis but is safe for plants yielding harvests meant to be consumed. Add 2 oz per gallon of water and use this over 50 sq/ft of garden plants. Any common PUMP SPRAYER can be used to apply the products above. Just make sure its clean of any product previously used. Remember, you’re treating a plant which is already under stress. Even trace amounts of a herbicide can be fatal for weakened plant. For potted plants, our 2 QUART SPRYTZER is well suited. 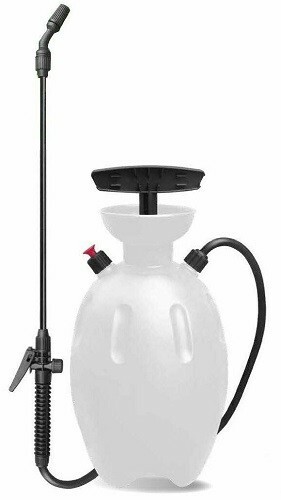 It works like any other pump sprayer but is only 1/2 gallon and has a long 23″ extending wand with directional nozzle. 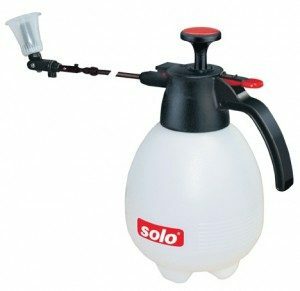 This allows the user to spray exactly where needed when treating potted plants.